New product--Tracker monitors over 1700 MISO nodes to get your nodes real time price while running in the background. Tracker presents the information with DA prices to help with daily operations. More. A vPowerHouse Scratchomatic has run continuously since 1995. This data entry program is used for nightly totals. The data entry routine compares the reading with the last 5 readings to determine valid entries and trends. This program ran in Excel 5 back then now its running in Excel 2010. By using data driven software design it's able to keep going. 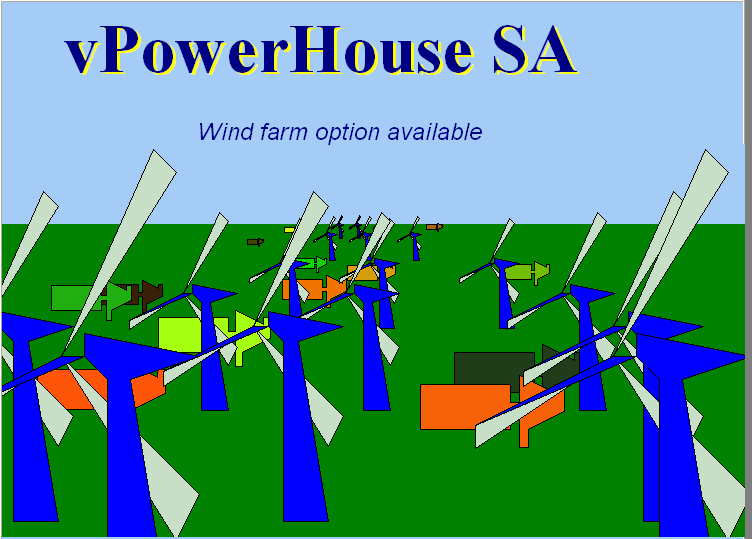 The SA program features for 2013 Wind farm controls. vPowerHouse provides power plant simulation software, to help your plant's operators get basic "hands on" experience. Continue to learn about the benefit of simulator training.